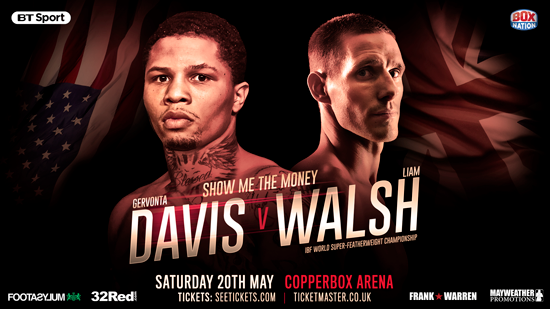 With less than four weeks until the IBF World Super-Featherweight Title fight between Floyd Mayweather protege Gervonta Davis and challenger Liam Walsh, the tension is beginning to build. On May 20th, ‘Tank’ Davis makes the first defence of his strap at the Copper Box Arena, where the Mayweather hype train will roll into London. Mandatory challenger Liam Walsh is unbeaten in 21 contests, and will fancy his chances of upsetting the man billed as America’s next big star. 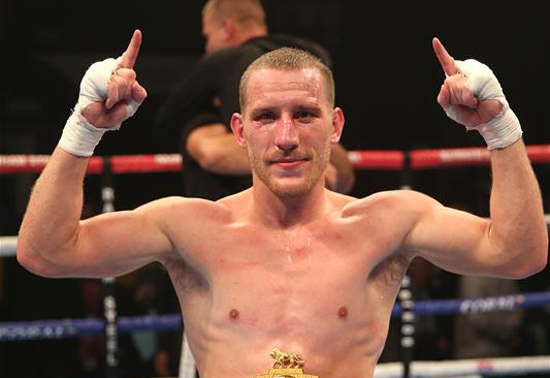 Ryan Walsh, brother of the Cromer hero, responded to a BoxNation tweet on Monday showing the immense speed of Davis, mocking the Baltimore man. “I’ll give you a comeback whooping if you’re still interested after Liam deals with you,” fired back 30-year-old Walsh, who also labelled the American as “chubby”.